Positive Mind Works is the online resource that facilitates access to experienced psychologists providing empowered solutions at a time and place that works for you. We use a secure online platform (specifically designed for health services) to connect you with the right professional via video, audio or typing. Requires a reasonable internet connection speed, access to a video and microphone. Most smartphones, tablets and laptops these days have all the necessary features. Please also ensure you have a private and quiet space for your session. You may wish to record the session if you find this helpful. 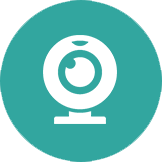 We predominately place audio calls using a secure internet platform (occasionally we will use a regular phone network- depending on the quality of your internet coverage). 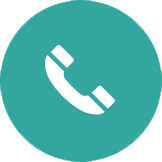 Please provide us with the best number to reach you and if we need to call using a regular phone network then PMW will cover the cost of the phone call. You may wish to record the session for playback later if you find this helpful. This is a great option if you are feeling a little uncertain and want to test the water. You do not need a fast internet connection, a webcam or microphone for this method. 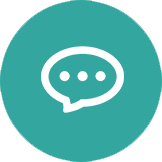 Using our secure platform you will have instant messenger dialogue with your chosen psychologist for the length of a session. If you wish you may decide to download a copy of the dialogue at the end of the session.